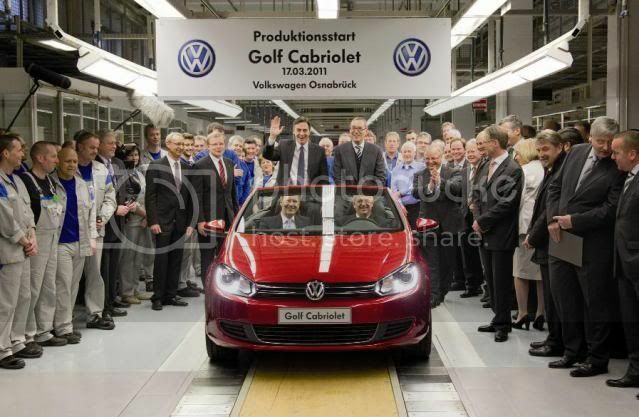 Volkswagen has started production on the new Golf Cabriolet at the firm's new assembly plant in Osnabrück. The occasion was also welcomed by Germany's president, Christian Wulff. 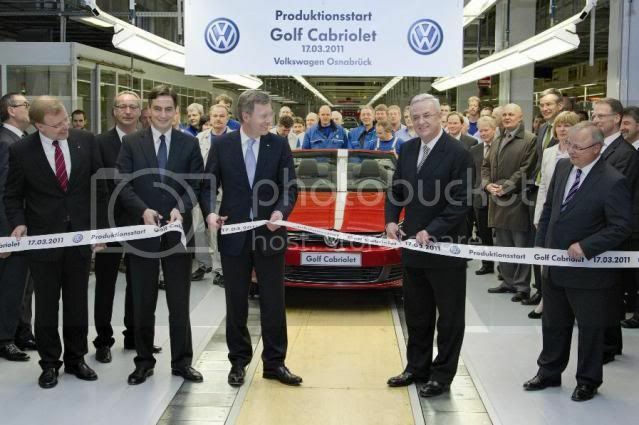 “As premier I am particularly delighted that Volkswagen now has six locations in Lower Saxony and produces in Osnabrück as well as in Wolfsburg, Hanover, Emden, Brunswick and Salzgitter. Osnabrück’s long car making tradition is being continued. Volkswagen Osnabrück will establish itself in the Group as a competence centre for small series vehicles,” Premier McAllister commented. The Volkswagen plant in Osnabrück covers the entire automotive process chain from vehicle development through tooling to production. Apart from the Golf Cabriolet, it's also planned to use the Osnabrück plant as an overflow facility for manufacturing the Porsche Boxster and Cayman going forward. The plant has a total annual capacity of roughly 100,000 vehicles.